For many years now, business and safety consultants have urged organizations to develop SMART (Specific, Measurable, Attainable, Relevant, and Timely) goals. Goals with these characteristics tend to not only motivate effort and get accomplished more often, but also tend to do more good once attained. 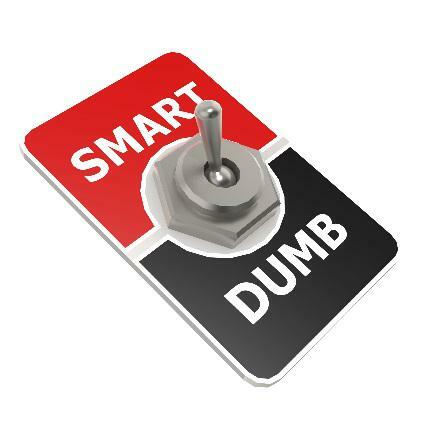 Just as the first step of motivating is to quit demotivating, the first step toward creating SMART goals perhaps should be to eliminate DUMB (Demoralizing, Uncertain, Mediocre, and Baffling) goals. We see a lot of them in our safety and business consulting. Look at your goals honestly and see if you find a few of these qualities. These characteristics can deal death blows to almost any effort, and ensure quick and complete failure. Keep a vigilant watch and don’t let them creep into your improvement efforts.